Tension spread across Camp when a Car caught on fire at High street corner in Camp last night at around 9.15 PM. Abdulani Deshnoor of Kaktives and Roshan Shaikh have been injured in the incident. 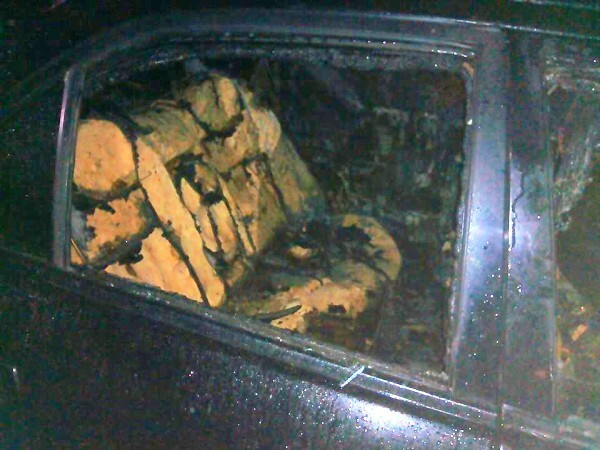 Sources say the car was parked on High street corner and the fire started from inside the car. 4 persons were there in the car and 2 were able to come out without any major injuries where as Abdulani has suffered 80% burns. The police were trying to investigate the matter as to how the car caught fire or was set on fire.